Little article and video about our home province to share with you all! 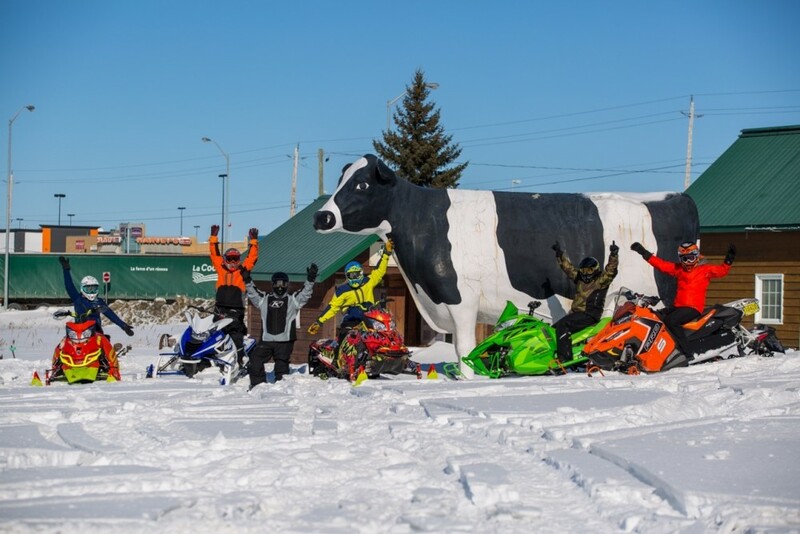 This snowmobile season has stunk. Far too many snow-hungry sledders have been left looking at brown grass instead of snow-packed trails this winter. It doesn’t have to be that way, but it’s up to you to save your snowmobile season. It’s easy to sit at home and whine about the lack of snow, but the real snowmobile junkies don’t do that. When the snow doesn’t come to you, you have to go to the snow. Outside of a few small reminders from Mother Nature that we do, in fact, live in Canada, our home base in Southern Ontario has seen very little of the white stuff this winter. Desperate to put some miles on the sled and find good snowmobiling, we decided to pack up our gear and drive north for adventure. We found it and we certainly weren’t alone. It’s not too late for you to find it too, as you can find good snow into April if you follow our lead. In a normal winter you don’t have to drive very far north in Ontario to find snow, but this has not been a normal winter. You’re going to have to spend a bit of time behind the wheel of your truck, but we promise it’s going to be worth it. Both about 3.5 hours north of Toronto, North Bay and Sudbury are good starting points for a Northeastern Ontario adventure. North Bay has a variety of snowmobile friendly accommodations. Being the gateway to great Northern Ontario adventure, it is the perfect starting point for you trip. We’ve stayed more than once at the Clarion Resort Pinewood Park in North Bay, which is loaded with truck and trailer parking for snowmobilers and is located directly on the trail with gas directly across from the hotel. Read more about How To Save Your Snowmobile Season + Video at Snowmobile.com.